Visitors welcome. 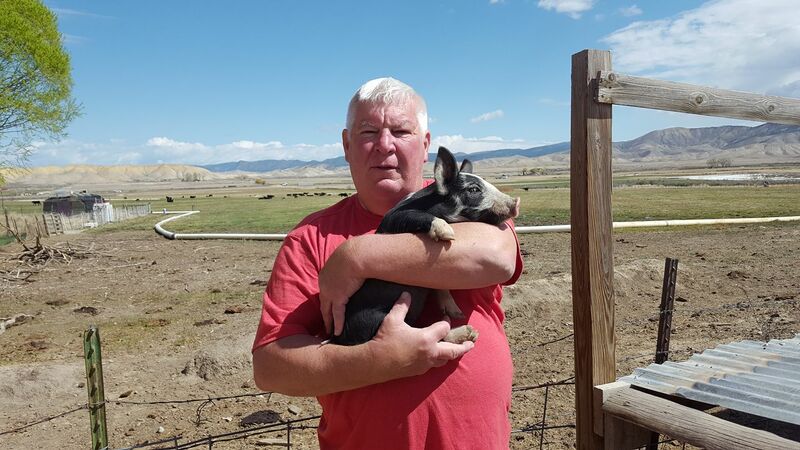 Happy Hogs Pork is raised right here in Montrose, CO. Our piglets are purchased from local farmers with the goal of insuring local sustainability. Our Happy Hogs are raised naturally without added growth hormones, in a stress free environment. We produce a superior product through a combination of feeding local raw milk, local grain, and an open environment that supports less stress. These factors produce a meat that is richer, sweeter, and more tender.